Of course it’s another E90 M3, but it’s not just any E90 M3, it’s basically the exact M3 I was searching for back in 2014. 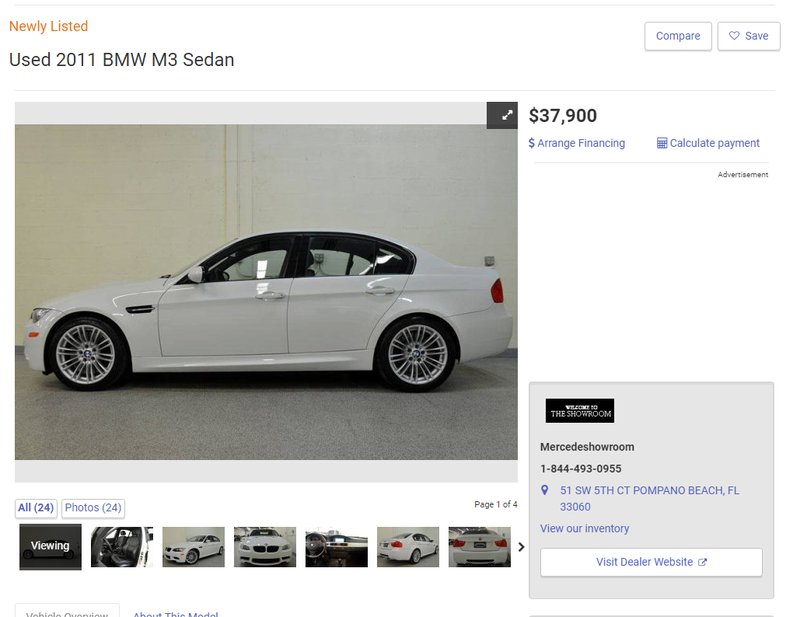 When I was searching I wanted a white sedan with a 6MT, leather and iDrive; this is that car. I came so close to getting one, but I couldn’t get a loan. This is the consequence of unnecessary car shopping, you eventually come across the car you always wanted. That said, I would have not been able to enjoy an M3 for 3.5 years if I had waited until I found this one. While the price might seem high, it seems to be fair based on other examples. I think the litmus test of find another one works pretty well here. It’s also somewhat mind boggling that the stick is commanding a 10k premium on the DCT.